CNC Routers, CNC Repair Services, CNC Parts - CNC Parts Dept., Inc.
Industrial 3 axis and 5 axis CNC router machines are for sale including Motionmaster, DMS, Thermwood, Quintax, and similar brands. CNC router services include router installation, maintenance, controller retrofits, operation, training, free phone support, and troubleshooting. CNC Parts Dept is a US distributor for CNC router parts including spindle motors, CNC controllers, AC motor drives, linear motion parts, servo motors and drives. CNC Parts Dept., Inc. and CNC Services, Inc. work together to support our CNC router customers nationwide. Therefore, if you need assistance with your CNC router machine, contact our CNC engineers today. In addition, we offer free telephone technical troubleshooting support to our customers. First off we here at Western Casework Corp. in Las Vegas, NV wanted to say thanks to all of you who helped get us back up and running in 2 days. You guys are great and hope to do more work with you guys in years to come. Thanks to all of you who helped get us back up and running in 2 days. You guys are great and hope to do more work with you guys in years to come. CNC Parts Dept. and CNC Services are always a big help to me. Just want to say thanks to you and Owen for the work on our Gerber Profile table. Owen went out of his way to accommodate us even after his normal working hours. He was able to diagnose our problem, saving us a lot of money. He worked in a professional manner with our operators and myself. Looking forward to working with the both you in the future. Thanks again. We have done business with CNC Services for years, and have always been impressed with their service. Recently though, they set a new standard for service when we lost an actuator motor on our Royce and couldn’t get a replacement for 8+ weeks. Lynn and Erik went all out to help us and was able to get it for us in about 5 weeks. Exemplary service! Recently CNC Services set a new standard for service when we lost an actuator motor on router and Lynn and Erik went all out to help us. Exemplary service! Lynn and Erik, The Allen Bradley is running again. Thanks for all of your help. The motherboard seems to have done the trick! I will return the CPU that you also sent for this repair. Thanks! Lynn and Erik, Thanks for all of your help. The motherboard seems to have done the trick! I will return the CPU that you also sent for this repair. Thanks! 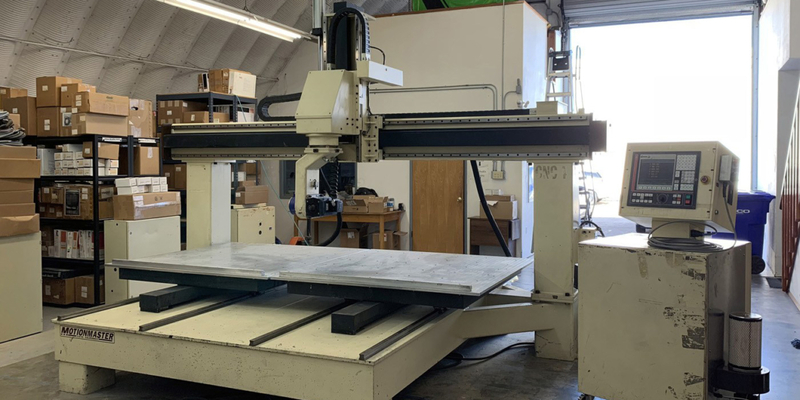 Contact CNC Parts Dept., Inc.
For more information about CNC repair services, CNC router sales and CNC parts, send us a message or call our San Diego office direct at (858) 922-4967.